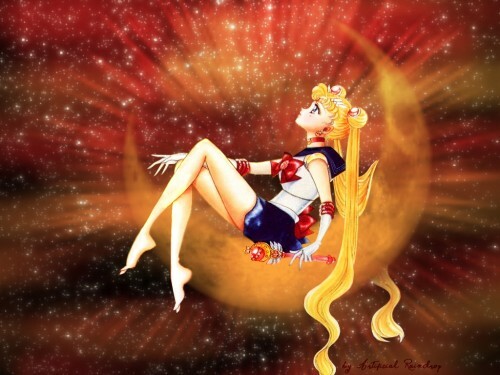 Bishoujo Senshi Sailor Moon Wallpaper: . : Field of Stars :. Minitokyo »	Bishoujo Senshi Sailor Moon Wallpapers » Bishoujo Senshi Sailor Moon Wallpaper: . : Field of Stars :. Hey this is nice! I like how you got her hair to 'flow' over the moon, its a really good effect! And i like stars! You don't hafta stop making walls with stars, they're nice! The warm tones you used on this wall also work really well with the colors of Sailor Moon. I actually really like that scan of sailor moon, you chose a great scan to work with! Anyways this is beautiful! Keep up the great work! I agree with you, the warm color makes everything looks serene and peacefull..
woooooooooooooooooooooooooooooooooooooooooooooooooooooooooooooooooow! I love this wallpaper! SO lovely! That is one very awesome wallpaper of Sailor Moon I will tell you that much. Nicely done. yes i like your rain of stars !